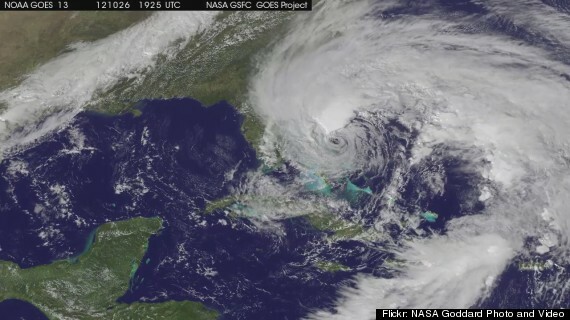 For all of you who follow the latest news, you know that we had to cover Hurricane Sandy this week. It’s a storm the likes of which the East Coast of America hasn’t seen before. Some more southern states, like Florida, are used to hurricanes and other storm patterns, but the upper East Coast (where New York, Connecticut, New Jersey, Rhode Island and Massachusetts reside) will bear the brunt of the largest storm they’ll have seen in years. On top of this, meteorologists believe that Hurricane Sandy could merge with a storm pattern coming in from the west, resulting in a ‘Frankenstorm’. The name isn’t all that great, but an apt description of the amalgamation of these two weather fronts. Not only will it devastate the East Coast, bringing large amounts of rain, surf swell and snow to the US, but with 15mph winds it will be incredibly dangerous for anyone to venture out into the storm. We’ve already seen massive panic buying from US residents preparing to hunker down for the week, and President Obama has issued emergency warnings in each state. FEMA (Federal Emergency Management Agency) have advised residents of how to protect from the worst of the hurricane, as well as beginning mandatory evacuation of the low-lying areas of the East Coast. It’s all anyone can talk about of course, but this is a travel blog. So how will it affect you? Well it shouldn’t, as long as you aren’t travelling to North America. Obviously the weather is so cataclysmic and the winds so strong that flights in and out of America are just not possible. Those planning a holiday, or travelling or perhaps returning from a stay in Europe will find themselves waiting at airports looking at ‘Cancelled’ notices on the departure boards for the best part of this week. The airports have already issued statements advising those planning on travelling to check whether their flights are delayed, cancelled or rerouted and act appropriately. Those who are currently staying in hotels are advised to find another room if possible, if not then the airports provide some facilities to make your stay possible. As for refunds or transfers, the airlines haven’t released official statements about how they plan to deal with the fallout from this. Past experience suggests that they will offer free flights as a substitute to those who were affected by the hurricane. All in all, make sure you check before you leave your home if you can actually fly and to those in America waiting for the storm to abate, good luck.